Hello, it is I, Elena, back with another post to tell you where to drink coffee!! Having worked as a specialty barista (SPECIALTY!! NOT STARBUCKS) for four years, I can confidently say that I know my coffee. Everywhere I go, I find the best cafés around to get my caffeine fix. 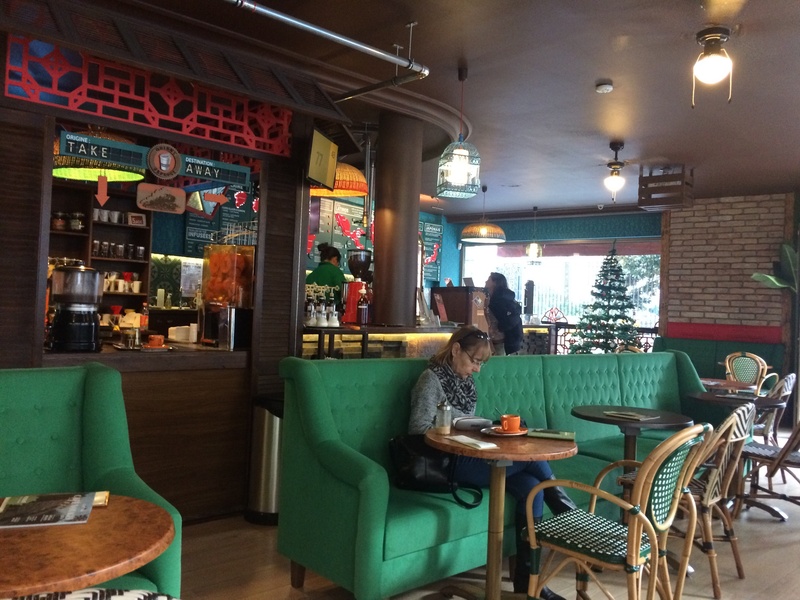 Situated by Cathédrale Sainte-Réparate in the old town, Hobo Coffee is the perfect hole in the wall to get a nice cup of coffee and work on your novel, that is if you can even find a spot. The locals have a tight grip on this little shop. I have not seen one English speaker once since I’ve found this place. I’m sure word will get out eventually. What To Drink: Iced Coffee with Vanilla…duh! These shops are popping up all over the Côte d’Azur and I’m loving it. Trendy young French girls are flocking to Emilie’s to get their cold coffee by the bucket. Maybe that’s a bit of an exaggeration. But their iced coffee is no joke! Even though it’s the Grand Café de Lyon, if you’re looking to feel like a true Parisian, this place is where you need to go. They’re a bit snobby there, but it’s lovely to sit at a marble top table out on the terrace and watch people go about their day. Another trendy cafe taking over the game, Cafe Frei has a fantastic atmosphere and friendly staff. They specialize in pastries and sweet drinks from all over the world. They will blow your mind and maybe give you a cavity. And this is another one of the places where the decor alone will take you back in time. Very Instagram worthy. In general, France has good coffee. So if you ever in desperate need of a coffee, but aren’t around any of these places, your best bet is an independent cafe or restaurant.